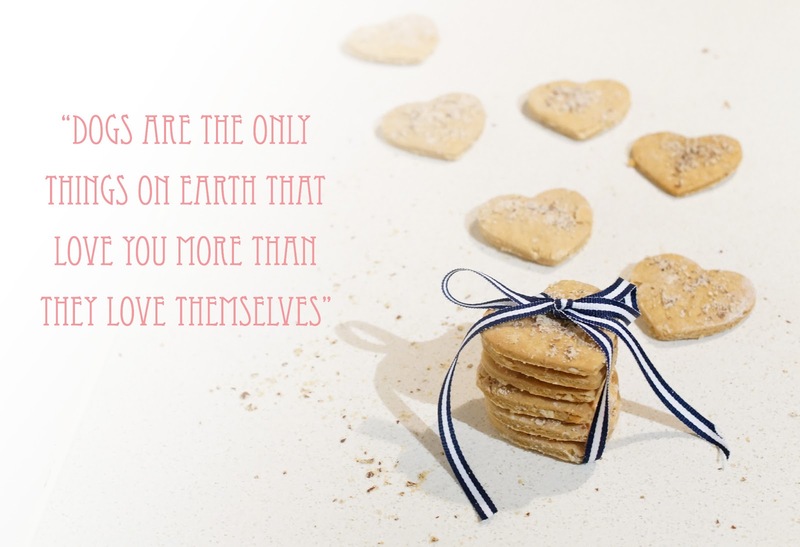 Whilst all you lovers, likers, Valentine's day loathers spend this day with your partners, girlfriends, boyfriends and friends, don't forget your beloved lil furry ones. Those animals that love you oh-so-unconditionally! I wish I could still bake for my Snoopy-pie (RIP), and while I wait for our furry family member to arrive in the future, I'm baking for my friends' little loved ones. The recipe is SO EASY and if your animals love peanut butter, they...are...going...to...go...BONKERS! Combine the flour, rolled oats and baking powder. In a separate bowl, mix the hot water and peanut butter together until a paste is formed. Combine the peanut butter mix with the dry ingredients until you get a dough. Roll out to 1/4" thick and cut out with whatever cookie cutter shape you like! Sprinkle with a little Almond Meal and bake in the oven for about 15 minutes. 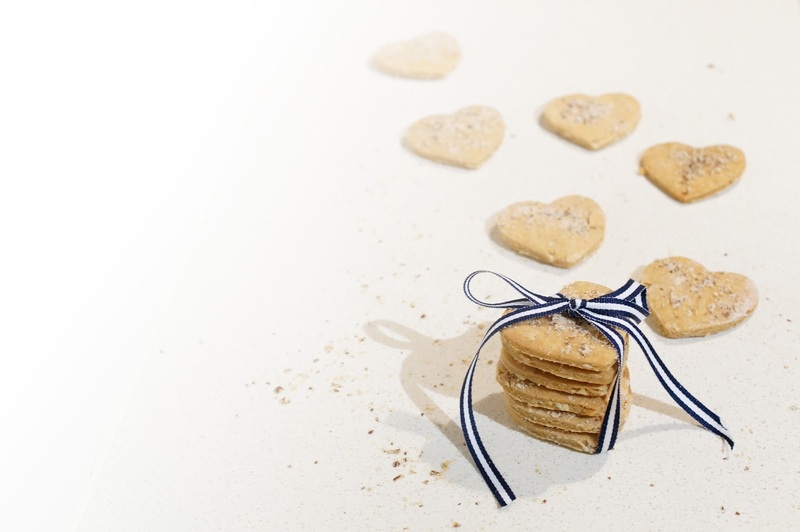 Makes 32 thin heart-shaped cookies or potentially 36 mini bone-shaped cookies! I'm not so sure whether your cats will like these, or your birds or your bunnies, but I hope you find inspiration to give a lil wholesome hand-made love to them in other ways!